Many corporate giants have disclosed data on their carbon emissions to CDP, a high-profile nonprofit backed by big institutional investors. But Amazon doesn’t and is now the largest U.S. company by market value to refuse to answer CDP’s questions. Many global corporate giants have been sharing their data on carbon emissions with CDP, a nonprofit that gathers that information on behalf of big institutional investors worried about how their assets will fare in a warming world. But Amazon.com, unlike many of its rivals, keeps those cards close to the chest. CDP, formerly known as the Carbon Disclosure Project, queries companies about carbon emissions and other data every year to build what it says is the most detailed collection of self-reported environmental information anywhere. About 70 percent of companies listed in the S&P 500 contributed with data to its latest report, published in late October, said CDP’s North America president, Lance Pierce. That includes rivals of Amazon’s wild diversity of businesses, from behemoth retailers Wal-Mart and Costco Wholesale to Microsoft and Alphabet. Not everybody gets a good score. CDP grades companies based on a combination of factors, from the level of transparency to how much they do to address problems. Then CDP slapped an “F” on Amazon for nonparticipation (the company hasn’t responded to CDP’s questionnaires since at least 2010). Amazon declined to comment on its refusal to play ball with CDP’s request for openness. The rating comes at a time when the Seattle juggernaut’s ballooning size invites increased scrutiny from investors and regulators. Moreover, Amazon’s fast-expanding warehouse and logistics operations, as well as its power-hungry data centers, could become growing sources of carbon emissions, which scientists say have contributed to climate change. Amazon is “notable for the fact that it’s holding out in a space where clearly everyone else that is working with it and probably competing with it are in the process of disclosing,” Pierce said. There’s plenty of evidence Amazon factors the environment into its worldview. It’s building wind farms and solar arrays it says will generate enough power to meet half the needs of its data centers by next year, and eventually will cover all its cloud-computing energy requirements with renewables. In Seattle, it will harness heat from a local data center to power its new downtown buildings. The company is a signatory of the American Business Act on Climate Pledge, a White House initiative that supported action on reducing carbon emissions, and has struck many other environmentally minded partnerships. Amazon also seems to be building a sustainability team under Kara Hurst, who joined the company in 2014. She’s the former CEO of The Sustainability Consortium, a nongovernmental organization focusing on sustainable consumption. On Tuesday, there were more than 29 jobs open related to sustainability, ranging from software-development engineers to senior product managers focusing on waste reduction for packaging. But Amazon keeps a veil on details that other companies share. For example, it doesn’t publish a comprehensive annual sustainability report, unlike many peers. A proposal by shareholders to issue such a document garnered only 25 percent of the vote at last May’s annual shareholder meeting. Amazon’s board said that, given it’s already committed to developing sustainable practices, working on an annual report “would not be an effective and prudent use” of time and resources. Greenpeace in 2015 gave it an “F” for transparency for not providing enough detail about energy-saving measures in its cloud-computing business. 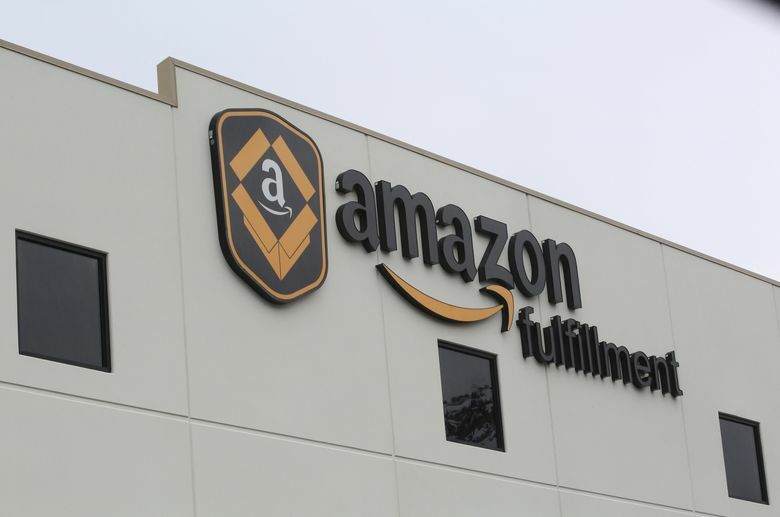 Aseem Prakash, director of the Center for Environmental Politics at the University of Washington, says Amazon doesn’t disclose its figures to the CDP simply because it hasn’t felt it had to. The company topped the 2016 list of “most reputable companies” among the U.S. public, gathered by the Reputation Institute, an advisory firm. Amazon has flown under the radar of most environmental groups focused on other companies or in other industries and has little damage to reputation to mitigate on that front. “Environmentalists have not paid sufficient political attention to Amazon,” Prakash said. Moreover, despite the CDP’s claims that big investors want to see environmental data, the reality is most investors don’t necessarily care, Prakash said. Amazon’s stock price has more than doubled in two years. The CDP says it represents 827 investors with $100 trillion in assets. Members include investment-management funds such as BlackRock and pension funds such as the California Public Employees’ Retirement System. “It’s important to remember in the early days of corporate accounting, corporations were not expected to disclose what was on their books,” Pierce said. Pierce says publicly accounting for their carbon emissions has benefits for companies that go well beyond appeasing some investors or policymakers. He said Wal-Mart, when establishing a process of CDP disclosure, found new ways of seeing and managing their operations more efficiently. “They learn things about their companies,” he said.